In this sample of a TOEFL reading comprehension question taken from a previous paper we are going to learn how to familiarise yourself further with TOEFL question types and the specific strategies that come with each of them. The origins of persistent themes regarding the popular antagonisms toward bilingual education and the prescribed panaceas of “English immersion” and high-stakes testing in English need to be scrutinized. As background to the contemporary context, we briefly discuss the history of language politics in the United States and the ideological underpinnings of the dominant monolingual English ideology. We analyze the recent attacks on bilingual education for what this attack represents for educational policy within a multilingual society such as the United States. We emphasize multilingual because most discussions of language policy are framed as if monolingualism were part of our heritage from which we are now drifting. Framing the language policy issues in this way masks both the historical and contemporary reality and positions non-English language diversity as an abnormality that must be cured. Contrary to the steady flow of disinformation, we begin with the premise that even as English has historically been the dominant language in the United States since the colonial era, language diversity has always been a fact of life. Thus, efforts to deny that reality represent a “malady of mind” (Blaut, 1993) that has resulted in either restrictionist or repressive language policies for minorities. The dominance of English was established under the British during the colonial period, not by official decree but through language status achievement, that is, through “the legitimization of a government’s decisions regarding acceptable language for those who are to carry out the political, economic, and social affairs of the political process” (Heath, 1976, p.51). English achieved dominance as a result of the political and socio economic trade between England and colonial administrators, colonists, and traders. Other languages coexisted with English in the colonies with notable exceptions. Enslaved Africans were prohibited from using their native tongues for fear that it would facilitate resistance or rebellion. From the 1740s forward, southern colonies simultaneously institutionalized “compulsory ignorance” laws that prohibited those enslaved from acquiring English literacy for similar reasons. These restrictive slave codes were carried forward as the former southern colonies became states of the newly United States and remained in force until the end of the Civil War in 1865 (Weinberg, 1977/1995). Thus, the very first formal language policies were restrictive with the explicit purpose of promoting social control. 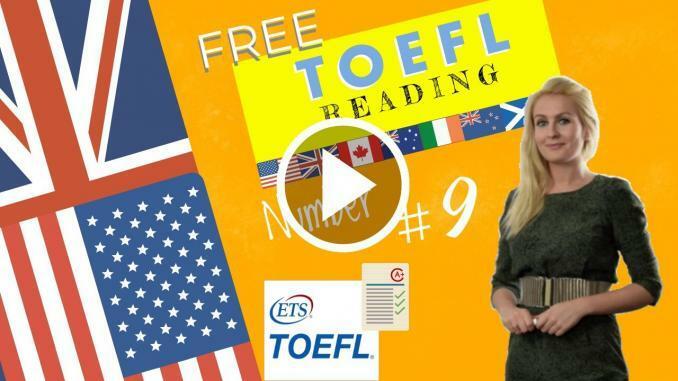 For more practice with TOEFL reading comprehension don’t forget to complete lessons 3, 7, 11, 17, 21, 25, 31, 35, and 39 of this TOEFL iBT preparation course!